This library of 36 highly relevant client brochures is an essential addition to any tax pro’s office. 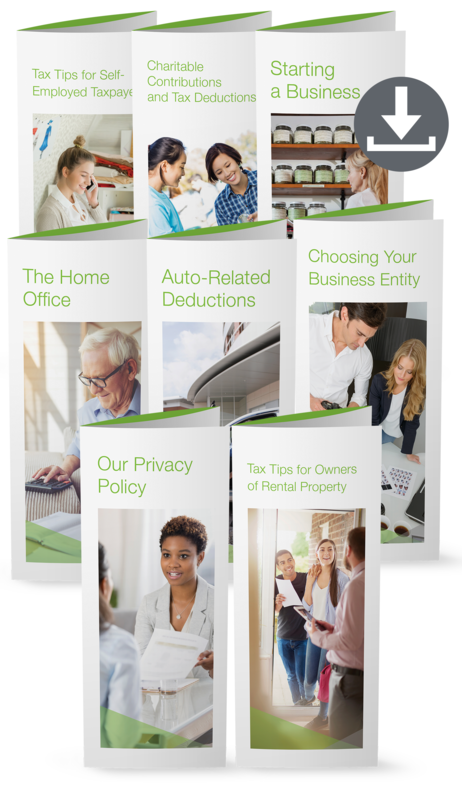 Filled with tax and business information your clients should be aware of, these detailed resources work great as printed-off handouts and as email attachments. Purchase of this product includes client brochures in PDF and plain text formats. You can also add your contact info on the back of the PDF brochures. If needed, our materials will be updated throughout 2019. Your subscription includes all updates through December 31, 2019 and will be available for download through December 2020. When your purchase is complete, you can obtain the pdf link page in My Downloads.